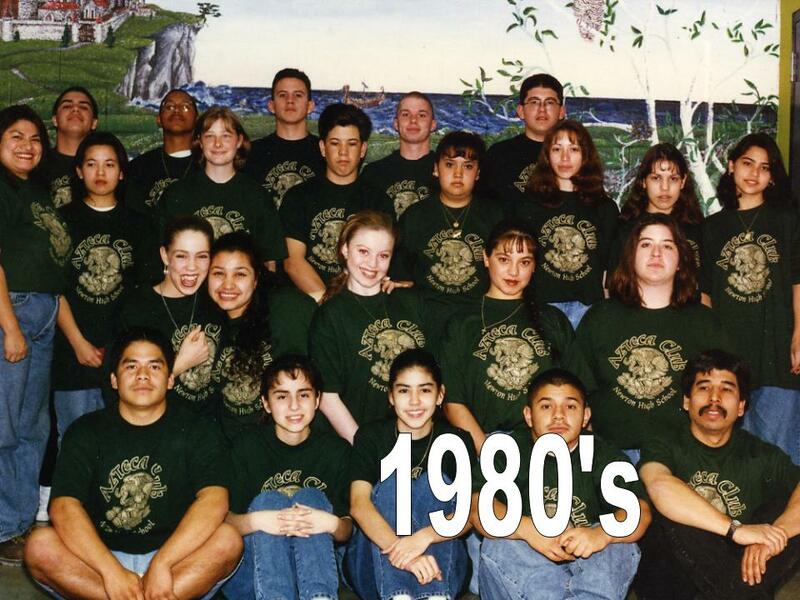 Begun as a special interest club at Newton High School, a group was formed with The Spanish Club as its name. The name changed to Hispanic Club and then to Azteca Club so as to be inclusive of all of the pre-Hispanic culture, rather than just the Spanish side. Photo credit: collection of Ray & Patrice Olais.